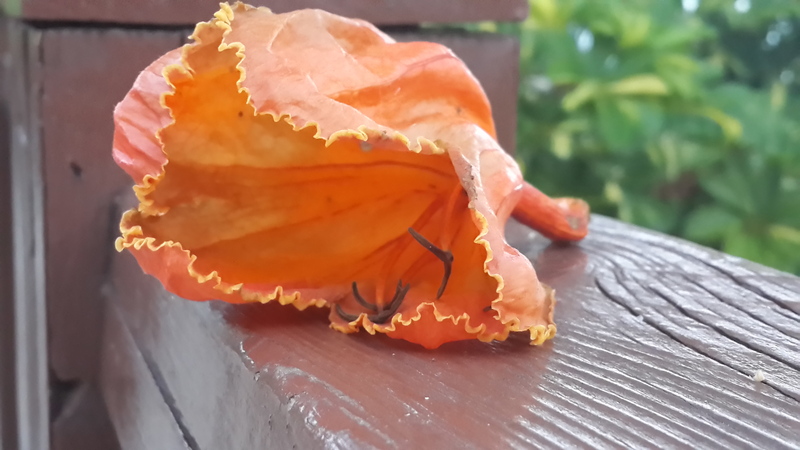 Hundreds of these large orange blossoms strewn on the path to the beach from a tree overhead. The nameless profligacy of Nature’s bounty. Surely the earth has enough for all if we use its resources wisely. 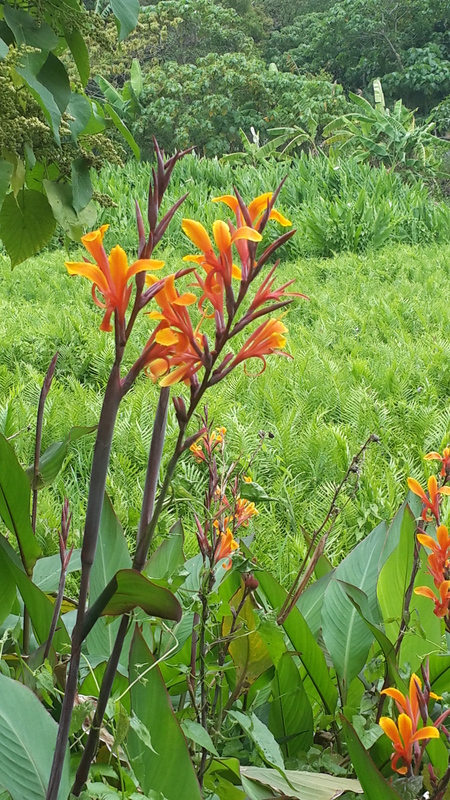 Indian Khanna grows in profusion beside a walking trail on the outlying islands. My apologies for the long delay in posting, but I am privileged to be truly living in a state of grace. More on that in the next blog! By aviottjohn in culture, philosophy, religion on May 4, 2015 .